You can install OpenShift Origin on Rackspace Cloud Server and become own Platform as a Service Provider. onMetal is great for the purpose. This guide is NOT for using OpenShift PaaS. We are working with the software which is used by RedHat to provide you the PaaS service. This is asked by a reader. Rackspace onMetal is Bare Metal. It is not easy to configure and run – most importantly, it is costly affair. Install OpenShift Origin on Rackspace Cloud Server : Yes or No? 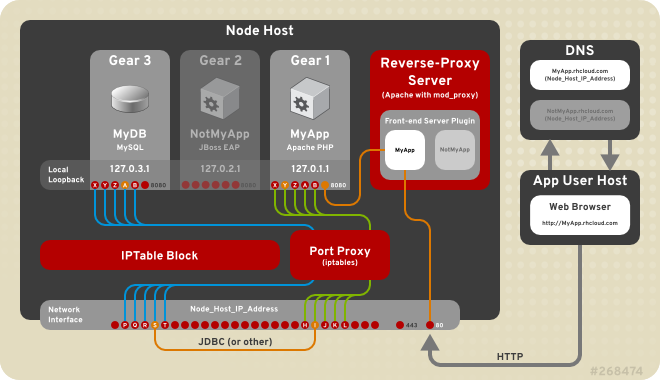 When RedHat OpenShift delivers the service, it is great as it is either free or cost lower. But, running for delegating domains under PaaS is so costly and demands manpower that it is better not to think about it. DigitalOcean pays $200 for writing articles, for money, people will write things which will work by almost killing the system. DigitalOcean also advocates to use Swap / Virtual Memory. We do not use Swap on Rackspace, Amazon or SoftLayer. The reason to write this paragraph is for a reason – a reader has asked us, whether it is feasible to run OpenShift Origin to control own multiple WordPress websites with 2 GB server. Not possible in real. At minimum, you should use a onMetal device. Cost at minimum might be over $1200 per month plus cost of bandwidth. For such huge plan, SysOps or DevOps are better plans. It is honestly dangerous to work oneself. For local development, use your Mac. If you want to resell Cloud Products (either from OpenShift or Rackspace) – officially ask them. If the devices start to crush, it will be a situation like Heroku (read Amazon). This Article Has Been Shared 6579 Times! Fix the Failure to Fetch Error Looking Like E: Could not open file /var/lib/apt/lists/mirror.rackspace.com after running apt-get upgrade. Cite this article as: Abhishek Ghosh, "Install OpenShift Origin on Rackspace Cloud Server," in The Customize Windows, November 12, 2014, April 23, 2019, https://thecustomizewindows.com/2014/11/install-openshift-origin-rackspace-cloud-server/.